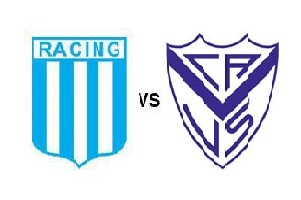 On Sunday 7th of June Racing Club is facing Velez Sarsfield. Racing is the current champion in Primera Division and they are having another really good season till now. At home they have an amazing record of six wins and just one defeat with 13 goals scored and only 3 in their net. Velez on the other hand are nothing much in their away games with just five points won in 6 games. They are not the team they used to be two or three years ago. Racing Club is the better team now and I am sure they will do their best to maintain the title. Therefore they have to win almost all of their home games and some of the the others.